The most competitive night of the week again yielded a multitude of winners Monday. CBS scored first with a new 7 p.m. episode of The Big Bang Theory, which won its time slot in both total D-FW viewers (453,310) and advertiser-prized 18-to-49-year-olds (186,074). NBC’s first half-hour of The Voice ran a solid second with respective viewer totals of 376,596 and 129,306. It then became a fierce battle from 7:30 to 9 p.m. among The Voice, ESPN’s Monday Night Football and CBS’ second episode of the new Scorpion, which started at 8 p.m. The Voice prevailed in total viewers with 376,596, edging Scorpion (355,674) and MNF’s Kansas City Chiefs-New England Patriots game (348,700). Football won among 18-to-49-year-olds, though, averaging 154,536 between 7:30 and 9 p.m. to outdraw The Voice (135,613) and Scorpion (91,602). MNF paced the 9 p.m. hour in both ratings measurements, drawing 355,674 total viewers and 176,613 in the 18-to-49 demographic. NBC’s The Blacklist ran second with 278,960 total viewers, holding off CBS’ relocated NCIS: Los Angeles (237,116). Blacklist likewise took the silver among 18-to-49-year-olds (94,614), with Fox4’s local newscast moving up to third (78,845). Fox’s 7 p.m. second episode of the new Gotham tried to hang in there, but ran fourth among the Big 4 broadcast networks in total viewers with 181,324. The Batman prequel fared better with 18-to-49-year-olds, soundly whipping ABC’s first hour of Dancing with the Stars and also nipping CBS’ 7:30 p.m.Big Bang repeat. Of far more concern to Fox are the continued diminishing returns for Season 2 of Sleepy Hollow, which ran last in the 8 p.m. hour among the Big 4 broadcasters in both total viewers and 18-to-49-year-olds. Hollow’s 83,688 total viewers were the lowest of the night opposite ABC, CBS, NBC and ESPN programming. It also ranked as the least-watched among 18-to-49-year-olds. Gannett8 drew the most total viewers at 10 p.m., but Fox4 ran first with 25-to-54-year-olds (main advertiser target audience for news programming). It was otherwise all NBC5, with the Peacock sweeping the 6 a.m. and 5 and 6 p.m. competitions. Playing and dominating on the NFL’s main stage, the Dallas Cowboys easily drew their largest TV audience of the season Sunday night despite new and lower Nielsen population estimates for the D-FW viewing area. The Cowboys’ 38-17 demolition of the New Orleans Saints averaged 1,583,093 viewers on NBC’s Sunday Night Football. A total of 756,912 of those viewers were within the advertiser-coveted 18-to-49 age range. It was Game 4 of the regular season, with Dallas improving to a 3-1 record. Nielsen’s new figures for the D-FW viewing area, which took effect over the weekend, reduce the number of total viewers from 71,013 to 69,70 per rating point. And the 18-to-49 population drops from 32,567 to the new 31,538 viewers. Last year at this time both of those estimates went up. So it can be a bit of a roller coaster ride from year-to-year. Fox’s San Francisco 49ers-Philadelphia Eagles game drew Sunday’s second biggest NFL crowd with an average of 711,348 total viewers. The network’s preceding game -- Green Bay Packers versus Chicago Bears -- had 397,518 viewers. CBS managed 244,090 viewers for the Houston Texans-Buffalo Bills matchup. CBS had a bigger crowd for its 7 p.m. episode of the new , which drew 271,986 viewers while airing only partially against the Cowboys game, which fired up at 7:31 p.m. Younger viewers mostly spurned Madam Secretary, though, with just 34,692 in the 18-to-49 motherlode. ABC’s Once Upon a Time easily had the most 18-to-49-year-olds -- 122,998 -- among Sunday night’s non-Cowboys attractions. Saturday’s college football parade was led by Texas A&M’s big comeback win over Arkansas at Jerry’s Palace. The CBS telecast, which stretched to 6:23 p.m. before A&M won in overtime, averaged 285,934 total viewers. In contrast, NBC’s Ryder Cup coverage drew just 20,922 viewers while airing partially opposite A&M-Arkansas. NBC’s season premiere of Saturday Night Live pulled in 202,246 viewers to dominate late night programming. Even better for the Peacock, more than half of those viewers -- 107,229 -- were of the 18-to-49 persuasion. On Friday night, CBS’ 9 p.m. season premiere of Blue Bloods was the biggest overall draw with 230,142 viewers. But ABC’s two-hour new season launch of Shark Tank topped the 18-to-49-year-old Nielsens with 66,230. CBS11 had the most total viewers at 10 p.m. while Gannett8 won among 25-to-54-year-olds (main advertiser target audience for news programming). Fox4 swept the 6 a.m. competitions and CBS11 did likewise at 5 p.m.
NBC5 drew the most total viewers at 6 p.m. and shared the lead with Gannett8 among 25-to-54-year-olds. Local Nielsen ratings snapshot (Thurs., Sept. 25) -- NFL holds off "Shondaland"
Despite being afflicted with a second straight blowout game, CBS’ Thursday Night Football withstood ABC’s double dose of Scandal’s season premiere and the new How to Get Away with Murder. Both series are produced by Shonda Rhimes, whose Grey’s Anatomy fills out ABC’s Thursday night lineup. The New York Giants humbled the Washington Redskins 45-14 on CBS, which last week endured a 56-14 rout of Tampa Bay by Atlanta. Here are D-FW’s hour-by-hour prime-time breakdowns for Night 4 of the new TV season. Measurements are total viewers and advertiser-prized 18-to-49-year-olds. Shows are listed in order of popularity. The impact of the Thursday Night Football blowout can clearly be seen in the 9 to 10 p.m. hour, where New York-Washington barely outdrew How to Get Away with Murder in both ratings measurements. In each instance, the NFL Network’s simulcast of the game added a minimal amount of viewers, averaging 63,912 for the entire game, with 32,567 in the 18-to-49 motherlode. Bolstered by a big lead-in advantage from How to Get Away with Murder, Gannett8 dominated a downsized three-way competition at 10 p.m. in both total viewers and 25-to-54-year-olds (main advertiser target audience for news programming). So much so that Gannett8’s late nighter had more total viewers -- 333,761 -- than any of the channel’s other programming Thursday. Fox4 again ran the table at 6 a.m. and added 5 and 6 p.m. wins in the 25-to-54 demographic. 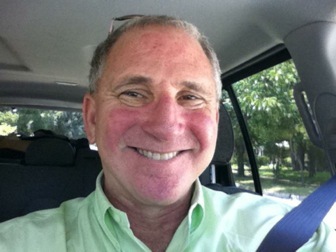 CBS11 had the most total viewers at both 5 and 6 p.m.
Marc Kaminer, a photo-journalist at Dallas-based KDFW-TV (now known as Fox4) for 36 years, has died after a “very brief” illness, the station reports. 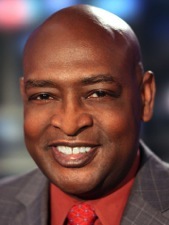 Earlier this week, sports anchor/reporter Max Morgan, who joined KDFW in 1993, died of congestive heart failure. 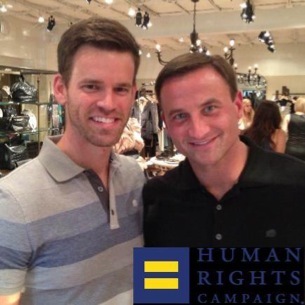 Fox4 consumer reporter Steve Noviello and his longtime partner, Doug Bedner, will make it official by marrying in New York this weekend. Their wedding is set for Sept. 27th. Noviello, who’s been with Fox4 since 2003, has posted the news on his Facebook page. He’s best known for his “Deal or Dud” segments and also has taught at Richland College for the past nine years. Bedner is chief operating officer of Resource One Credit Union. Night 3 of the new season brought very good news for ABC’s black-ish, mixed results for NBC’s new The Mysteries of Laura and a dispiriting diagnosis for Fox’s first-year medical series, Red Band Society. Here’s the hour-by-hour D-FW breakdown in the two major ratings food groups -- total viewers and advertiser-prized 18-to-49-year-olds. Shows are listed in order of popularity. NBC’s second episode of Mysteries of Laura -- and the first in its regular time slot -- went from the penthouse in total viewers to the outhouse with 18-to-49-year-olds. But ABC’s black-ish ranked No. 1 in both measurements, easily making it the night’s biggest success story among the three freshman series. Fox had the worst overall night while CBS won’t fire up its regular lineup until next Wednesday, when Criminal Minds and the new Stalker join Survivor. Gannett8 had the most total viewers at 10 p.m. and NBC5 ranked No. 1 among 25-to-54-year-olds (main advertiser target audience for news programming). Fox4 ran the table at 6 a.m. added a 5 p.m. gold in total viewers and won at 6 p.m. with 25-to-54-year-olds. NBC5 had the most total viewers at 6 p.m. while tying Fox4 for the top spot at 5 p.m. in the 25-to-54 demographic. Night 2 of the new season brought another tale of two networks -- the same two networks. CBS swept Tuesday’s prime-time Nielsens in total viewers while NBC did likewise among advertiser-prized 18-to-49-year-olds. Here’s the hour-by-hour D-FW scorecard. These are dismal numbers for both the ABC and Fox networks. ABC’s new Forever clearly isn’t going to last forever, and could be the season’s first cancellation. Marvel’s Agents of S.H.I.E.L.D. also performed poorly with its Season 2 opener. And it’s a pretty expensive show. Fox’s heavy investment in Utopia is looking more and more like money badly spent. And New Girl has almost fallen off the map in its fourth season after such a strong start in Season 1, particularly among 18-to-49-year-olds. The silver lining for both networks is that NBC was a doormat until last season’s resurgence. Now the Peacock is crowing in the audience demographic that most advertisers are willing to pay a premium for. It only takes a handful of new hits to re-prime the pump. The trick is finding them, which NBC has done. NBC5 narrowly won in total viewers at 10 p.m. while Fox4 edged into first among 25-to-54-year-olds (main advertiser target audience for news programming). Fox4 swept the 6 a.m. Nielsens and added a 6 p.m. win with 25-to-54-year-olds. CBS11 had the most total viewers at 6 p.m.
Fox4 and CBS11 tied for the top spot in total viewers at 5 p.m.; NBC5 prevailed in the 25-to-54 measurement. The most competitive night of the TV season kicked off Monday with new programming across the board and only one big miss among three series premieres on the Big Four broadcast networks. That would be ABC’s new Forever. Here’s the hour-by-hour D-FW breakdown on opening night, with ESPN’s Monday Night Football (Bears vs. Jets) and TNT’s two-hour season finale of Dallas also included among all the first-timers and returning series premieres on ABC, CBS, NBC and Fox. Shows are listed in order of their ratings strength. Gotham, Fox’s biggest new bet of the fall season, went into the toughest opening night competition it will ever face. That’s because CBS loaded up with two new episodes of its temporarily transplanted Big Bang Theory, which will return to Thursdays after CBS’ half-season menu of NFL football. Under the circumstances Gotham fared reasonably well and may get the biggest DVR playback viewership of any Monday night attraction. It also presumably will have an easier time of it next Monday when CBS goes with Mom at 7:30 p.m.
On the other hand, ABC’s Forever won’t have it any easier when NCIS: Los Angeles takes Under the Dome’s place next Monday. Finally, here are Monday’s local news derby results. Gannett8 impressively overcame a weak Forever lead-in to narrowly win at 10 p.m. in total viewers and tie Fox4 for the top spot among 25-to-54-year-olds (the main advertiser target audience for news programming). Fox4 swept the 6 a.m. and 5 p.m. competitions while adding a 6 p.m. first in the 25-to-54-year-old demographic. It was a three-way tie for first in total viewers at 6 p.m. among Fox4, NBC5 and CBS11. Veteran Fox4 sports anchor/reporter Max Morgan died Monday night of congestive heart failure after being hospitalized five days earlier. Morgan, who joined the Dallas-based station in 1993, turned 59 on Friday and celebrated his birthday as best he could with his wife Marla, family members and friends. Ever effervescent, he became known for the tagline with which he began every sportscast: “Hello, Dallas-Fort Worth. Let’s talk sports.” He said it with both resonance and relish. His close friend, Fox4 photo-journalist Larry Rodriguez, tweeted the news of Morgan’s death and had provided updates on his deteriorating condition while also asking for prayers. Born Terrance Shum in Dardenelle, Arkansas, Morgan had two sons, Shawn and Byron. He was never the main sports anchor at Fox4. 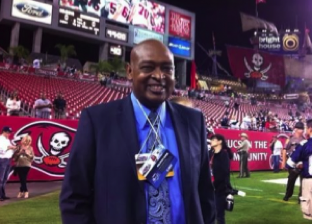 But his out-sized personality and enthusiasm were center stage whenever he anchored on weekends, filled in for Mike Doocy on weekdays or reported from venues ranging from Super Bowls to high school football games. He also was among the first African-American TV sports personalities in the D-FW market, with Fox’s current NFL Sunday host, Curt Menefee, preceding him by a year at KTVT-TV (now known as CBS11). News of Morgan’s death began spreading in the hour before Fox4’s Monday, 9 p.m. newscast. The station had a videotaped tribute prepared in anticipation, but didn’t mention his passing until the 9:19 p.m. mark of the one-hour newscast. By that time the news had swept through the “Twitter-verse.” Co-anchor Steve Eagar later told viewers that “Max was not a social media guy,” but currently was “trending” 10th nationally on Twitter. Here is Fox4’s extended coverage of Max Morgan’s death on Monday’s 9 p.m. newscast. It must be something about the Rams. Roaring back from a 21-0 road deficit to beat St. Louis 34-31, the Dallas Cowboys nonetheless fell below the one million mark for the first time this season. The same thing happened last season in Game 3 -- which also was against the Rams. Noon starts on nice days don’t help, which was the case with both of these games on Fox4. But still . . .
Sunday’s Cowboys-Rams game averaged 894,764 D-FW viewers. Last season’s Game 3 rout of St. Louis, by a 31-7 score, averaged 943,135 viewers. In each case, the Cowboys improved to 2-1. The 34-31 comeback win not surprisingly peaked in the final 15 minutes, with a crowd of 1,086,499. Among advertiser-prized 18-to-49-year-olds, the game averaged 400,574 viewers overall with a peak audience of 517,815 in the closing 15 minutes (2:45 to 3 p.m.). CBS then cleaned up with the Seattle Seahawks 26-20 overtime win over the Denver Broncos after QB Peyton Manning led an incredible Broncos comeback in the 4th quarter. Stretching to 6:58 p.m., the game averaged 653,320 total viewers. NBC’s Sunday Night Football matchup, in which the Steelers beat up the Panthers, swept the prime-time/late night Nielsens with an average of 440,281 total viewers. The game ran until 10:45 p.m.
CBS got excellent sampling of its new Madam Secretary series, though. Delayed by the Seahawks-Broncos run-over until just after 8 p.m., the premiere episode averaged 383,470 total viewers. .
Madam Secretary, starring Tea Leoni as a newly minted secretary of state, did not make a major impression on 18-to-49-year-olds. It 61,877 viewers in this key demographic, which amounts to a smallish percentage of the total viewership. In central and eastern time zones, CBS scrapped a planned Sunday night repeat of Madam Secretary. The delayed Season 6 premiere of The Good Wife instead led directly to local newscasts. In D-FW, Good Wife drew 276,951 total viewers and 52,107 in the 18-to-49 range. 60 Minutes, which didn’t start ticking until 7:04 p.m., had the biggest overall audience of the night for CBS, with 433,179 total viewers. Its 18-to-49 haul was 113,985 viewers. CBS’ afternoon Alabama-Florida game emerged as the biggest scorer among Saturday’s parade of college football games, averaging 205,938 total viewers. The closing chapter of Ken Burns’ 14-hour The Roosevelts on PBS drew 71,013 viewers. Friday’s prime-time winners were CBS’ Blue Bloods rerun in total viewers (163,330) and CBS’ Big Brother with 18-to-49-year-olds (45,934). CBS11 had the most total viewers at 10 p.m. while NBC5 won among 25-to-54-year-olds, the main advertiser target audience for news programming. Two stations also split the spoils at 6 a.m., with the Peacock No. 1 in total viewers and Fox4 drawing the most 25-to-54-year-olds. CBS11 unusually swept the 5 p.m. competitions and Gannett8 ran the table at 6 p.m., which likewise has been uncommon. CBS11 sports reporter/anchor Jane Slater has left the D-FW station and on Monday, Sept. 22nd is joining the ESPN-owned Longhorn Network as a studio host and reporter. Slater, who’s relocating to Austin, will helm among other duties. Slater tried hard to make her mark in D-FW in a variety of roles. She was a freelance news reporter at CBS11 before joining a pre-Gannett8 as a traffic reporter on the station’s 5 and 6 p.,m. weekday newscasts. Slater then went to 105.3 FM radio (THE FAN) to team with Mark Elfenbein on the weekday Elf and Slater show. When it was canceled, she was a fill-in host of TXA21’s prime-time The Fan before it also was dropped. TXA21 is CBS11’s sister station. Slater also has worked at KRLD radio (1080 AM). She’s a University of Texas at Austin graduate and was raised in Rockwall. Slater joins former NBC5 sports reporter/anchor Matt Barrie as part of the ESPN sports empire. Both are rising young talents, with Barrie getting increasing exposure on a variety of ESPN platforms since leaving Fort Worth-based NBC5 in March 2013. He spent five years at the station. Morgan was hospitalized last Wednesday. Former longtime Fox4 meteorologist Ron Jackson, who abruptly announced his retirement from the station earlier this year, was seriously injured in a single vehicle crash Friday night, the station’s website reports. Cedar Hill police say he was riding a scooter near the intersection of Highway 67 and Kingswood Drive in Cedar Hill when he apparently lost control of his vehicle. He was not wearing a helmet and was taken by ambulance to a local hospital, myfoxdfw reports. But in May of this year, Jackson joined KRLD-AM as a part-time meteorologist. 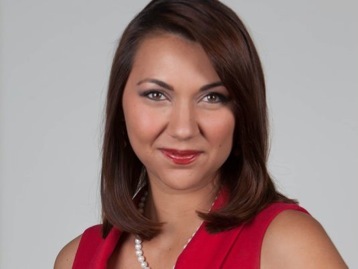 Monica Hernandez, from New Orleans’ WWL-TV, will be the latest addition to Gannett8’s reporting staff. Gannett8 news director Carolyn Mungo has not returned an email asking for confirmation and a start date for Hernandez. Her WWL bio says that Hernandez is originally from San Diego and graduated from Syracuse University in 2007 with a major in broadcast journalism and international relations and a minor in Spanish. Before joining WWL, a CBS affiliate owned by Gannett, she worked at WLBT-TV in Jackson, Mississippi and as a field producer for New York’s WNBC-TV. George Rodrigue, managing editor at The Dallas Morning News since 2004, is leaving that position to join Gannett8 as assistant news director. His departure from the paper was announced in a memo to staffers Thursday by DMN editor Bob Mong, who himself has announced he’ll be retiring sometime in 2015. Rodrigue, whose last day at the paper will be Sept. 25th, was hired by Mong as a city hall reporter in 1983. His interim replacement as managing editor at the DMN will be staffer Keith Campbell, Mong announced. It’s fair to say that Rodrigue had been looking for a while. To say any more would be to betray a confidence. Gannett, which took control of WFAA8 from Belo late last year, has a content-sharing arrangement with Fort Worth’s Star-Telegram. This went into effect after the DMN ended its longstanding synergistic relationship with Belo-owned WFAA8 and signed a new deal with Fort Worth-based NBC5. So whatever Rodrigue’s ties to DMN staffers, he’ll have to play synergistic baseball with the Star-Telegram. In other words, that downtown Dallas driveway between the DMN and Gannett8 might as well be a moat under the relatively new scheme of things. Gannett8 has been slumping in the ratings, lately winning only at 10 p.m. with any sort of regularity while struggling to stay in the ratings picture at 6 a.m. and at 5 and 6 p.m.
Rodrigue doesn’t mess around when it comes to whipping reporters into shape. His new newsroom boss will be Gannett8 news director Carolyn Mungo, who was hired by president-general manager Mike Devlin in February 2012. One of Fox4’s best and most seasoned reporters, Lari Barager, is the latest to chart a new course and leave the daily pavement-pounding grind. Barager’s primary beat in recent years has been Tarrant County. The Texas native and University of Michigan grad is the mother of a son and daughter. 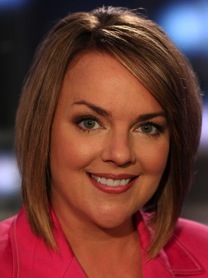 She previously worked at ABC affiliate WOTV-TV in Battle Creek, Michigan. Fall’s first two new series, NBC’s The Mysteries of Laura and Fox’s Red Band Society, had their coming out parties Wednesday night. Buoyed by a big lead-in from the America’s Got Talent season finale, Laura is celebrating anew. Red Band, which went into the teeth of AGT, for now is in mourning. Although critically panned, Laura zoomed to an audience of 248,546 D-FW viewers after AGT averaged a time slot dominating 255,647 viewers from 7 to 9 p.m.
Red Band, which had mixed reviews, had 127,823 viewers in the 8 p.m. hour to run third behind AGT and CBS’ Criminal Minds repeat (134,925 viewers). Among advertiser-prized 18-to-49-year-olds, Laura remained comfortably in first during the 9 p.m. hour while Red Band outdrew only ABC’s 8 to 8:30 p.m. Modern Family repeat before its second half-hour fell to fourth behind another MF rerun. The season finale of CBS’ Extant -- and also likely the series finale -- also took a tumble. It ran third in both ratings measurements at 9 p.m., behind Laura and Fox4’s local newscast. CBS’ Big Brother remained strong, though, winning the 7 p.m. hour among 18-to-49-year-olds and running second to AGT in total viewers. Tuesday night’s best overall ratings performer, ABC’s 7 p.m. Dancing with the Stars results show, drew 305,356 total viewers. The season’s final AGT performance show then won from 8 to 10 p.m. with 284,052 viewers. In the 18-to-49 demographic, Big Brother took the 7 to 8 p.m. gold before AGT cleaned up. Fox’s 7 p.m. hour of the new Utopia ran fourth in its timeslot in total viewers but moved up two notches to second place among 18-to-49-year-olds (beating DWTS and an AGT recap show). Tuesday -- NBC5 swept the 10 p.m. competitions in total viewers and 25-to-54-year-olds, the main advertiser target audience for news programming). Fox4 notched twin wins at 6 a.m. NBC5 and CBS11 tied for the most total viewers at 6 p.m., with the Peacock winning outright among 25-to-54-year-olds. The 5 p.m. golds went to Gannett 8 in total viewers and Fox4 in the 25-to-54 demographic. Wednesday -- NBC5 again rolled to a 10 p.m. sweep and Fox4 did likewise at 6 a.m.
NBC5 also ran the table at 5 p.m. and added a 6 p.m. win in total viewers. Fox4 had the most 25-to-54-year-olds at 6 p.m.
ABC’s 19th edition of Dancing with the Stars ranked No. 1 in total viewers Monday night among the Big Four broadcast networks while still getting sacked by ESPN’s Monday Night Football. DWTS drew a D-FW crowd of 262,748 in the 7 to 9 p.m. slot. MNF ended at 10:32 p.m. when the Philadelphia Eagles beat the Indianapolis Colts with a climactic field goal. It overwhelmed DWTS with an average of 411,875 viewers. Among advertiser-prized 18-to-49-year-olds, DWTS dipped to 68,391 viewers to finish behind Fox’s competing season finale of Masterchef (74,904 viewers). Both were smashed by MNF, which had 211,686 viewers in this key demographic. CBS’ Under the Dome had the most total viewers at 9 p.m. (163,330) in the competition against ABC, NBC and Fox4’s local newscast. But Fox4 and NBC’s final hour of American Ninja Warrior won where the bigger money is made. Both pulled in 68,391 viewers in the 18-to-49 age range while Dome dropped to third (52,107 viewers). On PBS, the 7 to 9 p.m. Chapter Two of Ken Burns’ The Roosevelts had 85,216 total viewers and 13,027 in the 18-to-49 motherlode. ABC’s revamped The View, with Rosie O’Donnell returning to the show among other gabbers, ran second from 10 to 11 a.m. in total viewers (63,912). CBS’ competing The Price Is Right topped that hour with 71,013 viewers. The View won with 18-to-49-year-olds, though, drawing 13,073 while Price fell well below retail value with 4,071. We close with Monday’s local news derby results. Gannett8 had the most total viewers at 10 p.m., but Fox4 and NBC5 tied for first among 25-to-54-year-olds (the main advertiser target audience for news programming). NBC5 twice nipped Fox4 in tight battles for 6 a.m. supremacy. Fox4 rolled at 5 and 6 p.m. with a pair of sweeps. The Dallas Cowboys grounded Tennessee 26-10 with an impressive running game Sunday. D-FW viewers responded in slightly larger numbers than last season’s Game 2. Running from 12:04 to 2:59 p.m. on Fox, Cowboys-Titans averaged 1,093,600 viewers, with 527,585 in the advertiser-coveted 18-to-49-year-old demographic. Last year’s 17-16 road loss to Kansas City respectively had 1,011,977 and 497,547 viewers. The peak audience for Cowboys-Titans came in the game’s final 15-minute increment. A total of 1,292,437 viewers tuned in; 589,463 were in the 18-to-49 motherlode. Sunday’s prime-time Nielsens again were dominated by NBC’s Sunday Night Football, in which the Chicago Bears overcame a 17-0 deficit to whip the San Francisco 49ers 28-20. Running until 10:47 p.m., the game averaged 504,192 total viewers, with 276,820 in the 18-to-49 age range. CBS’ late afternoon/early evening Denver Broncos-Kansas City Chiefs game actually did better overall, pulling in 546,800 total viewers. But the 18-to-49 numbers -- 231,226 -- lagged behind Bears-49ers. Sunday night also offered the Miss America pageant on ABC and the two-hour first chapter of Ken Burns’ 14-hour The Roosevelts on PBS. Miss America totaled 191,735 viewers from 8 to 10 p.m., with an 18-to-49-year-old haul of 61,877. The Roosevelts, airing from 7 to 9 p.m., had 120,722 total viewers and just 22,797 in the 18-to-49 demographic. Saturday’s college football parade was led in the ratings by Fox’s prime-time, down-to-the-wire Texas-UCLA game from Jerry’s Palace. It averaged 284,052 total viewers; 120,498 were of the 18-to-49 persuasion. Friday’s prime-time winners were NBC’s Dateline NBC in total viewers (170,431) and Fox4’s 9 p.m. local newscast among 18-to-49-year-olds (61,877). NBC5 had a big day, sweeping the 10 p.m., 6 a.m. and 5 p.m. competitions in both total viewers and 25-to-54-year-olds (main advertiser target audience for news programming). Fox4 took the other spoils with twin wins at 6 p.m.
CBS had ample controversy but a one-sided game for its kickoff of Thursday Night Football. The continuing uproar over Ray Rice may have helped to draw viewers in. But his old team, the Baltimore Ravens, eventually turned audiences off with a 26-6 home field rout of the Pittsburgh Steelers. No competing program had a prayer, though. Starting at 7:28 p.m. and ending at 10:24 p.m., Ravens-Steelers dominated with an average of 397,673 D-FW viewers. A total of 169,348 were in the advertiser-prized 18-to-49-year-old range. The game peaked with 489,990 total viewers from 7:45 to 8 p.m. But as the Ravens took control, the audience took a powder. Ratings steadily declined in the final hour, with 255,647 viewers remaining for the game’s closing minutes. The NFL Network also carried the game, using CBS announcers Jim Nantz and Phil Simms. Its simulcast averaged 99,418 total viewers and 55,364 in the 18-to-49 demographic. The season premiere of NBC’s latest edition of The Biggest Loser fared the best opposite football. Featuring former athletes who had gone super-flabby, Biggest Loser drew 163,330 total viewers in the 7 to 9 p.m. slot, with 100,958 in the 18-to-49 demographic. That’s a far better percentage of this key audience than football managed. The night’s overall biggest loser, ABC’s The Quest, crashed with just 28,405 total viewers from 7 to 9 p.m. Less than half of them -- 13,027 -- hit the 18-to-49 motherlode. Fox4’s 9 p.m. local newscast continued to show impressive resilience in the face of mediocre Fox network lead-ins. Thursday’s edition had 120,722 total viewers, more than doubling the crowd for the preceding Bones repeat (49,709 viewers). In the 18-to-49 demographic, Fox4’s news had 45,594 viewers, a quantum leap from the 9,770 for Bones. NBC5 swept a down-sized three-way 10 p.m. competition, winning in both total viewers and 25-to-54-year-olds (main advertiser target audience for news programming). CBS11’s late nighter didn’t get on the air until 10:39 p.m.
Fox4 again ran the table at 6 a.m. while NBC5 did likewise at 5 p.m. The 6 p.m. golds went to CBS11 in total viewers and Fox4 among 25-to-54-year-olds. President Obama’s 8 p.m. address on ISIS knocked the Big Four broadcast networks off schedule Wednesday night after CBS’ Big Brother won the 7 p.m. hour without its inhabitants knowing what was going on in the real world. BB drew 184,634 D-FW viewers while also ranking No. 1 among advertiser-prized 18-to-49-year-olds (97,701). The audience for the president, who spoke for just under 15 minutes, then dropped to 120,722 total viewers on CBS. NBC’s coverage of the Obama speech easily had the most viewers -- 255,647 -- among the Big Four broadcast networks. Among the three cable news networks, Fox News Channel led with 113,621 viewers. The Peacock’s coverage of Obama bridged an America’s Got Talent repeat and a live AGT results show in which the final acts were trimmed from 12 to 6. The second AGT had the largest audience of the night in total viewers (291,153) but finished a bit shy of Big Brother among 18-to-49-year-olds with 94,444. In daytime numbers, NBC’s 2 p.m. telecast of Steve Harvey’s syndicated talk show won its time slot in both key ratings measurements. Harvey then reappeared on Gannett8 as host of back-to-back editions of Family Feud. This time he finished an overall fourth from 3 to 4 p.m. in both Nielsen barometers, with NBC5’s Ellen the runaway winner. Gannett8’s 4 p.m. local newscast, still hampered by a relatively weak lead-in, beat CBS11’s local news in total viewers while trailing NBC5’s news hour. It was the same result with 25-to-54-year-olds, the main advertiser target audience for news programming. NBC5’s syndicated success with the Harvey and DeGeneres talk hours was not matched by its 1 p.m. airing of Meredith Vieira’s new show. It took a bad beating among both total viewers and 18-to-49-year-olds from ABC’s General Hospital and CBS’ The Talk. The Vieira show performed especially dismally in the 18-to-49 demographic, with a teensy 977 viewers compared to No. 1 General Hospital’s 35,824. In Tuesday’s prime-time ratings, the 7 p.m. battle of made-for-TV minimum security prisoners was won by Big Brother over Fox’s new Utopia. BB drew 149,127 total viewers, with 68,391 in the 18-to-49 range. Utopia’s respective numbers were 113,621 and 32,567. CBS then came up empty with an 8 to 10 p.m. Fashion Rocks special that tumbled into fourth place in both ratings measurements among the Big Four broadcast networks. NBC’s competing America’s Got Talent won each of those hours, averaging 262,748 total viewers and 84,674 in the 18-to-49 range. Tuesday -- NBC5 had the most total viewers at 10 p.m. while Fox4 won among 25-to-54-year-olds. Fox4 again swept the 6 a.m. competitions and added 5 and 6 p.m. wins in the 25-to-54 demographic. CBS11 ran first in total viewers at 6 p.m. and NBC5 took that prize at 5 p.m.
Wednesday -- The 10 p.m. newscasts on NBC5, Gannett8 and CBS11 were pushed back by network over-runs. So we’ll throw them out of this mix. NBC5 drew the most total viewers at 6 a.m. and Fox4 was tops with 25-to-54-year-olds. CBS11 took the total viewers gold at 6 p.m. and tied for first with Gannett8 in the 25-to-54 measurement. NBC5 was just a smidgen behind in the latter race. The 5 p.m. wins went to NBC5 in total viewers and Fox4 among 25-to-54-year-olds. Kicking off shortly after 6 p.m. and touching down just before 12:30 a.m., ESPN’s opening double dose of Monday Night Football carried the Nielsen ratings from start to finish. The opening Detroit Lions-New York Giants game averaged 340,862 D-FW viewers with 149,808 in the advertiser-prized 18-to-49-year-old motherlode. Game 2, with the Arizona Cardinals facing the San Diego Chargers, drew 269,850 total viewers but scored higher in the 18-to-49 range with 159,578. No. 1, it was a much closer game, with Arizona winning by a point. No. 2, younger people tend to stay up later (as do older viewers with Fantasy Football considerations). The also-ran Big Four broadcast networks were led in total viewers by Fox’s 7 p.m. hour of Masterchef, which had 191,735. Among 18-to-49-year-olds, Masterchef and NBC’s 8 to 10 p.m. edition of American Ninja Warrior set the pace with 104,214 viewers apiece. NBC5 set the pace at 10 p.m. with first-place finishes in both total viewers and 25-to-54-year-olds (the main advertiser target audience for news programming). Fox4 swept the 6 a.m. competitions and also ran the table at 6 p.m. The 5 p.m. golds went to NBC5 in total viewers and Fox4 in the 25-to-54 measurement. CBS11’s 5 and 6 p.m. newscasts were preempted by CBS coverage of the U.S. Open men’s tennis final. It averaged just 28,405 total viewers. A 28-3 halftime deficit en route to a 28-17 opening game loss to San Francisco didn’t send D-FW viewers scurrying elsewhere Sunday. Those numbers pale next to the 1,542,061 total viewers and 803,729 in the 18-to-49 age range for the 2013 opener. But there were extenuating circumstances. That game was played in prime-time on NBC’s big Sunday Night Football stage. And the Cowboys won a 35-31 thriller against the Giants compared to Sunday’s dud versus the 49ers. Local audiences still hung in with remarkable resiliency, though. In its closing 15-minute segment (6:15 to 6:30 p.m.), Cowboys-49ers was still drawing 1,342,146 total viewers. That’s not far off the peak crowd of 1,384,754 for the 5:45 to 6 p.m. portion. Fox’s two-hour premiere of the “reality” series Utopia fared pretty well opposite a big chunk of football. Airing from 7 to 9 p.m., it averaged 241,444 viewers with 117,241 in the 18-to-49 age range. But the audience steadily fell off during the second hour in both ratings measurements. Saturday’s college football parade was led by ABC’s afternoon USC-Stanford game, which averaged 134,925 total viewers. Fox’s evening attraction, Oregon vs. Michigan State, was the ratings runner-up with 113,621 viewers. Over on Fox Sports 1, BYU’s drubbing of Texas drew 85,216 viewers. And on Fox Sports Southwest, North Texas State crushed SMU to the tune of 21,304 viewers. The competing 7 to 8 p.m. portion of the Texas Rangers-Seattle Mariners game on TXA21 had 53,260 viewers. It was the first Rangers game of the post-Ron Washington era after his stunning resignation Friday afternoon. In Friday’s local news derby results, Gannett8 and CBS11 tied for the most total viewers at 10 p.m. while Gannett 8 was alone in first among 25-to-54-year-olds (main advertiser target audience for news programming). Fox4 notched another doubleheader win at 6 a.m. and NBC5 swept the 5 p.m. competitions. The Peacock also had the most total viewers at 6 p.m., but Fox4 won easily among 25-to-54-year-olds. Upsides to content-sharing? Here’s one. 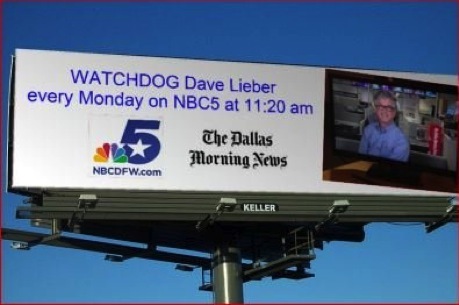 Dave Lieber, whose The Watchdog column deservedly has gained quick traction at The Dallas Morning News, will be getting his own weekly mini-segment with the newspaper’s TV partner, NBC5. 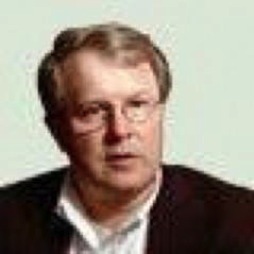 Lieber, in a message to unclebarky.com, says he’ll be getting two to three minutes to discuss his Sunday Watchdog column. “Only waited 40 years for this,” Lieber says. This will be officially announced on Monday morning, Sept. 8th. But Lieber gave unclebarky.com the OK to put it out ahead of time. NBC5 could have a major asset in Lieber, whose role with the station easily could be expanded after both parties initially dip their toes. A bigger role on the NBC-owned station’s one-hour 4 p.m. newscasts, which currently lead CBS11 and Gannett8 in the D-FW Nielsen ratings, would seem to be a logical next step. NBC5 and the DMN became content-sharing partners after the newspaper ended its longtime synergistic relationship with Gannett8. The ABC station then cut a similar deal with Fort Worth’s Star-Telegram. The NFL kicked off its 2014 season Thursday night with what turned out to be a mismatch between the Super Bowl champion Seattle Seahawks and the visiting Green Bay Packers. No matter. The 36-16 Seattle win, which ran from 7:41 to 10:38 p.m. on NBC, averaged 667,522 D-FW viewers with a peak crowd of 823,751 between 8:45 and 9 p.m. But the post-10:30 p.m. closing minutes of the game were a big turnoff, with 475,787 viewers still tuned in or fast asleep. More important to the NFL, Seattle-Green Bay averaged 341,954 viewers in the advertiser-prized 18-to-49 age range. That’s a bit better than half the overall average of 667,522 viewers. The Dallas Cowboys’ four pre-season games all performed at well under 50 percent in the key 18-to-49 demographic. The biggest draw opposite football, CBS’ 8 p.m. edition of Big Brother, had 134,925 total viewers and 81,418 within the 18-to-49 motherlode. On Fox Sports Southwest, the last-place Texas Rangers’ 10-2 home loss to Seattle drew 49,709 total viewers. ESPN’s prime-time coverage of Roger Federer’s big comeback win at the U.S. Open tennis competition averaged 21,304 viewers. Gannett8 narrowly had the most total viewers at 10 p.m. in a downsized three-way competition, but Fox4 won easily among 25-to-54-year-olds (main advertiser target audience for news programming). Fox4 again ran the table at 6 a.m. And NBC5 controlled the 5 and 6 p.m. competitions in both ratings measurements. CBS, NBC and Fox4 took their turns in the prime-time winner’s circle Wednesday while ABC again went wanting among the Big Four broadcast networks. CBS’ Big Brother led off with 191,735 D-FW viewers in the 7 p.m. hour while also cruising to the top spot among advertiser-prized 18-to-49-year-olds (a night-leading 100,958). NBC’s America’s Got Talent then won at 8 p.m. with respective hauls of 241,444 (the biggest total audience of the night) and 52,107 viewers. Fox4’s local newscast took charge at 9 p.m., drawing 184,634 total viewers and 65,134 in the 18-to-49 demographic. CBS’ Extant, nearing its Season 1 conclusion, ran second in both measurements. Prospects for a Season 2 are iffy. ABC lagged all night with a four-episode “marathon” of The Goldbergs followed by two Modern Family repeats. The Texas Rangers, still winding down the season on Fox Sports Southwest, drew 92,317 total viewers for their latest loss. Gannett8 bucked a lousy ABC lead-in to finish in a three-way tie for first place at 10 p.m. in the total viewer Nielsens. NBC5 and CBS11 also had a piece of that pie while Fox4 and NBC5 shared the top spot with 25-to-54-year-olds, the main advertiser target audience for news programming. Fox4 notched another 6 a.m. sweep while also drawing the most total viewers at 5 p.m. and the most 25-to-54-year-olds at 6 p.m.
Fox4 and Gannett8 shared the lead in total viewers at 6 p.m. Gannett8 had the most 25-to-54-year-olds at 5 p.m.
ABC’s summertime ratings woes kicked into over-drive Tuesday with a new two-hour edition of Extreme Weight Loss that just barely nudged the scale among advertiser-prized 18-to-49-year-olds. Drawing just 35,507 D-FW viewers from 8 to 10 p.m. is bad enough -- in a market of just over 7 million. But Weight Loss had “hashmarks” (no measurable audience) all the way from 8 to 9:45 p.m. before drawing 2,931 in its final quarter-hour for an overall average of 326 viewers in this key demographic. That’s a new level of teensy for two hours of prime-time network programming in D-FW. ABC’s preceding special on the making of the hit Disney movie Frozen managed 63,912 total viewers in the 7 p.m. hour, with 13,027 in the 18-to-49 age range. CBS’ 7 p.m. repeat of NCIS led all prime-time shows in total viewers with 227,242. NBC’s 8 to 10 p.m. edition of America’s Got Talent was tops among 18-to-49-year-olds with 65,134. But that’s a pretty lousy number for a talent competition in its home stretch. Also of note: Gannett8’s 6 p.m. local newscast was mostly rubbed out by an audio board crash that prompted the station to repeat ABC’s World News until 6:23 p.m. Weatherman Pete Delkus then got his forecast in before the station gave way to a three-minute bank of commercials at 6:27 p.m. World News/Gannett8 ended up running fourth at 6 p.m. in total viewers but moved up to second place with 25-to-54-year-olds (the main advertiser target audience for news programming). Meanwhile, Fox4 capitalized in a big way at 6 p.m., with its local newscast handily beating runner-up CBS11 in total viewers and drawing well more than double the 25-to-54-year-old audience of World News/Gannett 8. In the three other four-way local news derby competitions, NBC5 had the most total viewers at 10 p.m. while tying Fox4 for first place among 25-to-54-year-olds. Fox4 ran the table at 6 a.m. and Gannett8 did likewise at 5 p.m.
"Chip, Clarice and Dale: Only on Channel 4"
A vintage Clarice Tinsley talks approvingly about sports anchor Dale Hansen’s penchant for having fun in this 30-second, 1982 spot for KDFW-TV (Channel 4), then a CBS affiliate station. As towering D-FW anchor trios go, the only one ever to match these three was WFAA-TV’s combo of news anchors Tracy Rowlett and Iola Johnson, and sports anchor Verne Lundquist. Back then, these super-potent drawing cards clashed head-to-head at 6 and 10 p.m. in a star-driven battle for ratings supremacy that this market hasn’t seen since. Chip Moody eventually wound up at WFAA-TV before dying of cancer in 2001 at the age of 54. Tinsley remains at KDFW (now better known as Fox4) and Hansen left KDFW to join WFAA in 1983 (he’s still there) after being fired by the same news director who had sacked him in Omaha. Local TV news was far more fun -- and in Moody’s case, also more tragic -- back when two teams of giants in their primes played hard both on and off the air. Nothing really jumped off the charts on a holiday weekend in which many prospective viewers chose activities other than TV watching. Saturday night’s Florida State-Oklahoma State matchup from Jerry’s Palace emerged as the top draw with 220,140 D-FW viewers on ABC. That left Fox’s competing USC-Fresno State game on a starvation diet with 14,203 viewers. ESPN fared better Saturday night with Wisconsin vs. LSU (92,317 viewers), in which the Badgers (and their coaches) blew a 17 point second-half lead. This led to a stupefied Uncle Barky (a UW alum) watching Elvis Presley’s Clambake movie on AXS TV. Even that was easier to take. ABC also scored with Saturday afternoon’s Alabama-West Virginia matchup, which averaged 163,330 viewers to crunch all competing attractions. NBC’s alternative, Notre Dame vs. Rice, put up token resistance with 42,608 viewers. Sunday night’s Baylor-SMU game on Fox Sports 1, in which the Bears destroyed the Mustangs, drew 85,216 viewers. ABC’s truncated two-hour Muscular Dystrophy “telethon,” which aired only from 8 to 10 p.m. Sunday, averaged a scant 14,203 viewers. Labor Day’s prime-time ratings were topped by CBS’ 9 p.m. episode of Under the Dome, which drew 163,330 viewers. But NBC’s 7 p.m. edition of Running Wild with Bear Grylls had the most advertiser-prized 18-to-49-year-olds (78,161). Three of the four major local TV news providers -- Fox4, Gannett8 and CBS11 -- took holiday knees on Labor Day. NBC5 chose to have its numbers counted, which doesn’t matter in the grand scheme of things. So let’s move on to Friday’s local news derby results, in which all four stations entered the arena. CBS11 had the most viewers at 10 p.m. while NBC5 reigned with 25-to-54-year-olds, the main advertiser target audience for news programming. Fox4 and NBC5 shared the 6 a.m. golds in both total viewers and 25-to-54-year-olds. CBS11 ran the table at 5 p.m. and added a 6 p.m. win in total viewers. Fox4 and CBS11 tied for the most 25-to-54-year-olds at 6 p.m.